The tour will start from the Kamakura Station. From there, you will go to Jōmyō-ji by bus. Zen philosophy will be explored in the formal temple setting. You can enjoy a beautiful garden of dry landscape in a space of silence at Jōmyō-ji. Afterwards, immediately opposite the bamboo forest in the garden, you will view the beautiful temple of Jōmyō-ji. Hokokuji is a popular tourist spot that is essential to tourism in Kamakura and has won three stars in the 2013 "Michelin Green Guide Japan" guidebook. 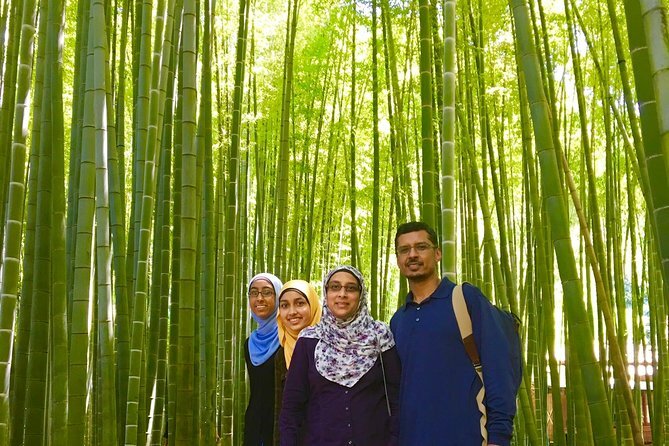 At the Hokoku temple, you will enjoy some delicious green tea and view a beautiful, fantastic bamboo forest reminiscent of Arashiyama in Kyoto. After the Hokoku temple visit, you will return to the Kamakura Station by bus and have lunch at the "Blacksmith" located along Komachi street that extends from the station to the Tsuruoka Hachiman Shrine. At the "blacksmith," you will have some delicious seafood bowls using halal soy sauce and tempura bowls that also are prepared using a halal sauce. There are also other menu items such as a grilled fish meal on the lunch menu. With confidence towards your faith, you can enjoy the Japanese cuisine. After lunch, you will enjoy shopping on the Komachi street where there are souvenirs that make Kamakura unique. Then you will go to the Tsurugaoka Hachiman Shrine. The Tsurugaoka Hachiman Shrine is known widely as the guardian deity of the warrior (samurai). At the shrine of Yukari Yoritomo, you will learn about the Kamakura shogunate during Japan's first samurai regime. There is also a very impressive, festive display of traditional samurai known as "Yabusame (Horseback archery)." The area is said to be spiritually strong, and a large ginkgo tree that fell due to strong winds now has elongating shoots. This has gained popularity as a symbol of regeneration. 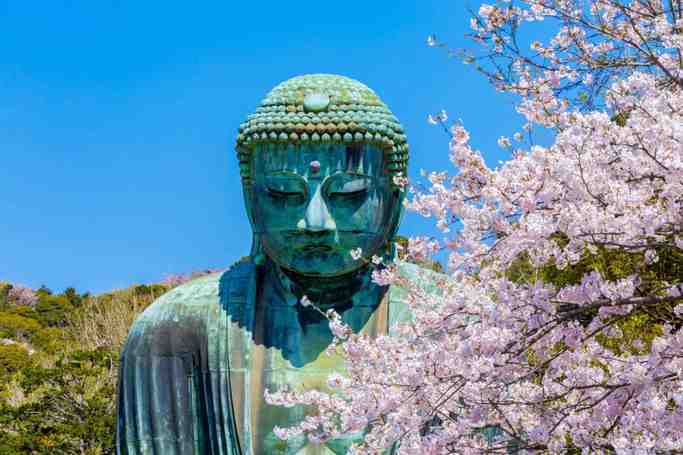 Under the guidance of your knowledgeable tour leader, enjoy your tour in the ancient capital of Kamakura. JR Kamakura station, east exit. the tour was amazing and food was great and every thing served was halal and guide was making sure of that. Also the guide English was pretty good and could understand him easily and he was 100 friendly and enjoyed talking with him our whole tour. the city was very quite and sceneries was breath taking. the temples looked very beautiful and I wont forget walking though the bamboo forest for sure. after the main parts of the tour we went shopping and the tour guide was so kind to help me pick gifts for the family and we stopped at each place I wanted without any complaints about time or any thing. luckily we even got to meet a local singing contest in one of the temples and even I cant understand a word of Japanese I enjoyed way too much that I should lol. 10/10 would recommend this tour to friends and even non Muslim tourists.